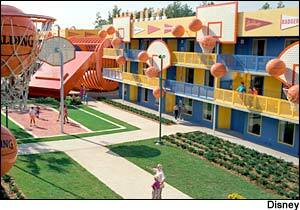 Disney's All-Star Sports Resort is a two-star value hotel at Walt Disney World. All-Star Sports was the first "value"-priced resort to open at Walt Disney World, in early 1994, making it the oldest of the All-Star resorts. It offers 1,920 guest rooms.